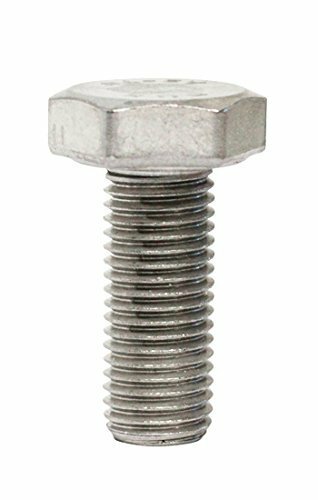 Package contains 5 pieces M10X1.25X25 full threaded hexagon head bolts made entirely from high tensile A2-70 Stainless Steel, providing excellent rust and corrosion resistance in wet environments. General purpose high quality hexagon fasteners with 25mm fully threaded length. Can be extensively used for interior applications: kitchen sinks, pipes, tabletops, stoves, refrigerators, light fixtures, furniture and other home appliances, office equipment, communication equipment, and even kitchenware such as pots and pans. We providing customers with metric hardware & specialty automotive supplies. We offer an extensive variety of metric fasteners, metric nuts, metric bolts, Time-Sert kits and we stock hard-to-find items like castle nuts, stainless hardware, banjo bolts, brake lines, high-pressure clamps, and more. If you have any questions about this product by Besp, contact us by completing and submitting the form below. If you are looking for a specif part number, please include it with your message.